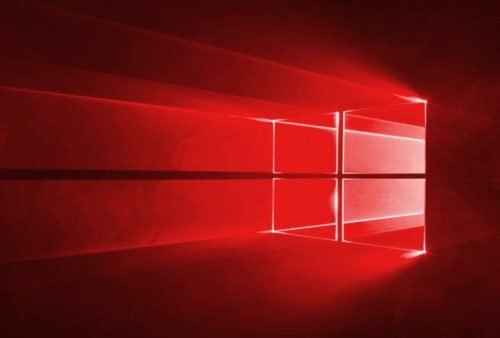 Windows 10: 5 Best Features Of Anniversary Update: Microsoft Anniversary Update for Windows 10 is here and you can update your current build of Windows 10 to new build. As Anniversary is first major release for Windows 10 as it marks a year for this OS. As Microsoft sadly won’t able to reach Windows to 300 million as their 1Billion marks look going beyond expectation. While we talk about anniversary update Microsoft puts their efforts to make OS more user refine with the new feature as Windows Ink, Continuum to Android Phones, Microsoft Edge extensions, Bots integration in the whole interface which really improves user experience and much more. Microsoft has really improved their OS experience after Windows 8 as Windows 7 is still dominating the whole share but Windows 10 is rapidly attracting everyone to it. Windows 10 is just a blend of Windows 7 and Windows 8 but not until now as Anniversary update really shows the great efforts of Microsoft Windows Team. So without further ado let’s see top 5 features of Windows 10 Anniversary update. Microsoft finally adds remarkable idea of Pen and Paper into the new interface as these are basic input tools from which we human can produce remarkable content. Microsoft adds this feature which makes the device works like your personal canvas as if you have Surface devices you use this feature more effective way as writing notes, making art or any things you possibly think of it do. Windows Ink also has feature to understanding the text you write on a note and if it matches its command it works according to it. For example, if your write “call mom tomorrow” notes app identifies these words and make a reminder in Cortana so she can remind you even if using Android or iOS device. Windows Ink also features pressure sensitive output in paint app so you can use it for your doodles. Windows Ink also comes with the new interface on the desktop you have to simply open it and you good to go. It consists of an app which is important for daily drive including Sticky Notes, Sketchpad, and Screen Sketch and much more. Windows have also added additional functionality other native apps include Maps app where you can write and point marks on the map. Windows also open source this feature for other developers so they can bring something better for it. 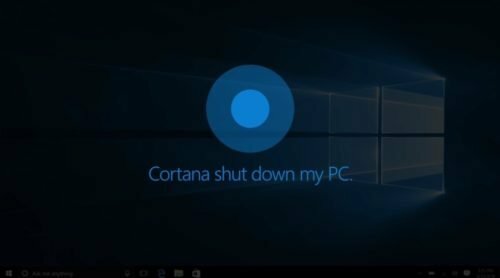 If the question arises Who is the best assistant for Windows answer is always be Cortana as her potential is beyond current voice assistance including Apple’s Siri and Google’s Google Now. As both of these are good voice assistant but not better than Cortana. Microsoft also improving capabilities of Cortana in each and every update but in Anniversary update Cortana finally got integration access of internals apps including Microsoft Edge, Calendar App, Mail App and more which really add more potential to Cortana as she is available as the tab in all these apps and ready to work specifically for each app. Cortana also got integration Windows Ink app like Sticky Note as you write any content which is Cortana command Cortana itself does that work without any user command which really make Cortana an automated assistant. Cortana new features include Cross-Device feature which syncs device which uses Cortana app either you using iOS,Android or Windows Phone so user can able to see messages and SMS on their PC’s, New Low Battery Notification new feature also include reminder of low battery notification on your devices which very nice feature to easily remind to juice up your device, Find My Phone/ Ring My Phone Cortana can also find any device you are using and can make ring which is very easy to find it and last but not the least Cortana can also share maps direction across devices which very easy to swap your smartphone after using PC. Smarter Cortana commands (such as sending files to colleagues) Microsoft increase the compatibility of Cortana into many more field they add Cortana in many of their native apps like calendar,emails or skype which helps to create many automated functions easily with Cortana. Making Cortana accessible to all over devices like iOS or Android make Microsoft Windows 10 more easy to use interface. And adding these feature really make it a better deal. Microsoft Edge is still however to manage to make it’s placed in Windows 10 ecosystem as Microsoft make the new browser more accessible all around the interface as Cortana also open its searches from Edge apps. But in Anniversary update Microsoft Edge trying to improve its status as it’s adding new feature of Biometric authentication payment so a user can use their fingerprint or any Windows Hello login for payment authentication. 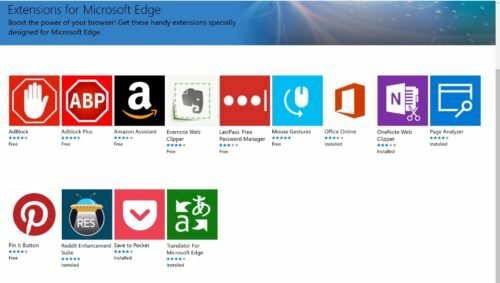 Microsoft Edge also comes with new extensions which really enhances the user experience of user and user can download it from store app as per their requirements some extension include the Last pass which automatically login to your account without entering credentials as all the user id and password is store on the server of the Last pass. It also includes AdBlock extension which stops all the unwanted ads you got on the course of using the internet. Microsoft Edge also got more access of Cortana so it can do much more than previous as Cortana also come in the app of Microsoft Edge on the top bar so you can use Cortana within the app. Microsoft also enhances user experience in the Anniversary update with new Redesigned Start Menu which has new redesign menus that are aligned according to user usages. New Menu now combines “Most Used” and “All Apps” into one column. New start menu also includes hamburger menu for another setting of a profile which is ver nice. As these changes can also be found on the full-screen version of Start menu but also include some basic enhancement. More improvement include new universal toggle button for dark and light modes easily so don’t have to individually change setting for each app. Action Center also got the new improvement to select which app notifications are more important to you in Action Center. While Microsoft also adds new language and much more little tweaks which enhance user experience. Microsoft Windows Defender is the great life saver for your device which protects your device from any viruses as it gets update within the month to provide more protection than ever. Microsoft in Anniversary gives more defense to Windows defender. Windows Defender is secure that most us usually not use any third parties antivirus to protect our PC as it protects us from both attacks which include online or any malware inside the PC. 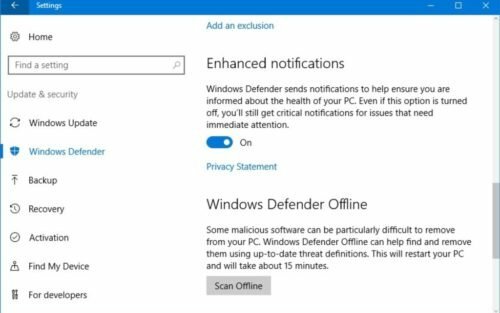 Window Defender also got an ability to Turn On/Off Limited Periodic Scanning, Turn On/Off Enhanced Notifications and Conduct an Offline Scan which is very nice update. Microsoft has evolved their OS too much from Windows 7 or 8 as Windows 10 is becoming more trending windows and get more adoption than any Windows ever which proves that will surely dominate PC’s industry. While Anniversary update really enhances the user experience for Windows user with the new features like Windows Ink, Microsoft Edge extensions and much more and this is true as critics also build better from worst which also apply to Windows as it not the worst but really improve from Windows 8. Microsoft also started their work for next Anniversary Update or Codename Project Redstone. 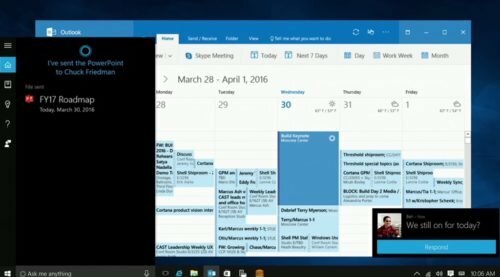 While leaks are confirming that next year Microsoft will release two major updates for Windows 10 in 2017. So let’s see how far things goes and how well until then I will take your leave and join us if you are interested in these type of updates. So What’s Your favorite feature for Windows 10 Anniversary update comment down below? Previous articleXbox ONE S: Is Upgrade Worth?